The current cohort of high school students are the first in history to grow up as digital natives. That means they are the first generation to be surrounded by digital media since birth. At a time when information is more available than ever, critical thinking and creativity are at a low in our student populations. 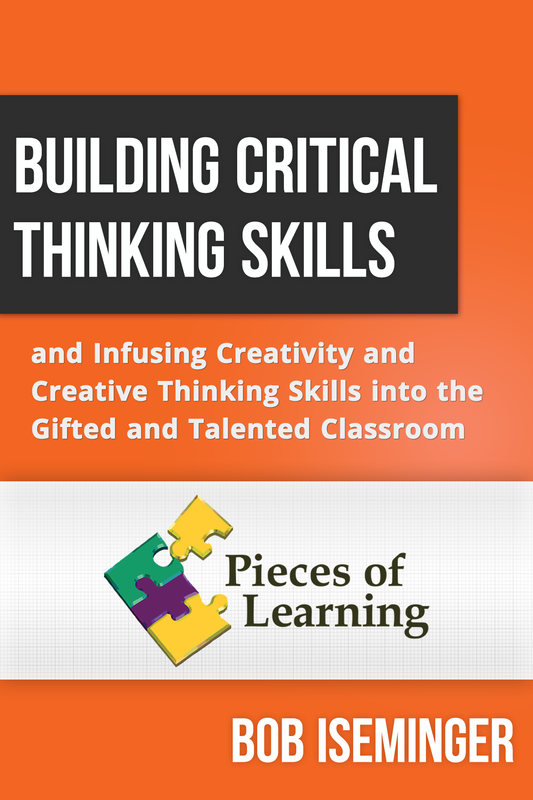 In Building Critical Thinking Skills and Infusing Creativity and Creative Thinking Skills into the Gifted and Talented Classroom, Bob Iseminger tackles these tough challenges with practical application for your G/T classroom. This course is aligned with 2016 ODE Teacher Competencies a, b, c, f, g and NAGC Teacher Preparation Standards 3.1, 5.1, 5.2. Bob Iseminger has over 25 years of experience in public education as a classroom teacher, math resource teacher, and coordinator of a gifted education magnet center. He has worked in both urban and suburban settings at the elementary and middle school levels and in a consulting capacity with high school students. Mr. Iseminger is an adjunct staff member at Hollins University where he teaches methods classes in the Masters of Teaching Program. For 10 years, he taught gifted licensure courses for the state of North Carolina. Mr. Iseminger currently serves as a staff development consultant for school districts nationwide in addition to making presentations at state gifted conferences.